Frank Lieberman, PhD is a 71-year-old psychologist, born in Detroit, Michigan, and has a professional background in teaching and clinical practice. His experience includes teaching at the elementary, junior high and secondary levels in the public schools in the Detroit area. He also was an assistant professor at Oakland Community College near Detroit. 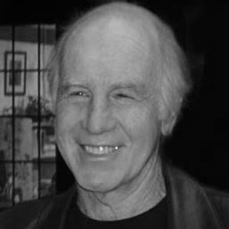 After receiving his PhD from Wayne State University in 1973, he took an assistant Prof. position at Cal State San Bernardino. After leaving Cal State San Bernardino he began the practice of psychology in the San Francisco Bay area. While residing in the Bay area, Dr. Lieberman began endurance riding, NATRC, and the sport of ride and tie. He divorced in 1999 and moved to Cool a small community in the foothills of the Sierra. This area which is near Auburn is recently classified as the endurance capital of the world. Since age 60, he has completed three one day 100 mile events called the Tevis Cup, Western states 100, and the Swanton Pacific 100 mile Ride and Tie. Since age 57 he has completed over 900 endurance miles, over 1150 running miles, and over 1850 ride and tie miles. He has also recently taken up the water sport of kayaking. Frank and Linda recently married. They have five children, and seven grand children. He is semi retired as a private practice psychologist. His current activities consist of play, having fun, sporting activities, writing a blog, and being healthy. “What an unlikely story. 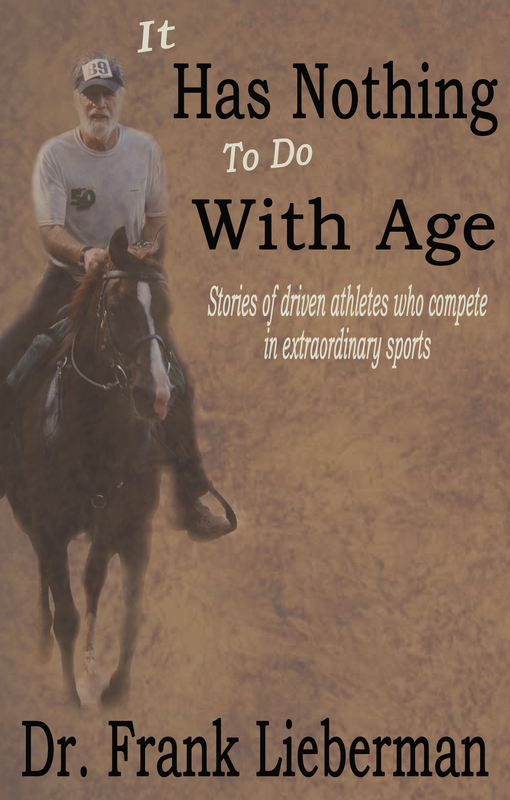 When most people are settling into a comfortable retirement and working on their shuffleboard stroke, Frank Lieberman finds the spark that inspires him to train and compete alongside the youngsters in three of the most grueling amateur endurance events in the equestrian and running worlds. Along the way Frank introduces us to other uber-endurance athletes who’ve excelled through their later years and details the personal and sporting insights of his journey as an ultra athlete. He shows that the preparation, hard-knocks, and victories that are part of these endeavors also bring great rewards and personal reconciliation. Frank and his athlete pals, including Raider and Gypsy, are testimony that Father Time is no match for a well-trained athlete that has the passion to be successful and that it’s never too late to embrace the toughest challenges of your life.” – Record Holder Tim Tweetmeyer – 5 WS100 mile endurance run first place finishes, 15 consecutive top five finishes, and 25 sub 24 hour finishes. “Think you have what it takes? Frank Lieberman is a one-man inspiration that is setting the pace for everyone 65 and over.” – Fran Lewis, Reviewer. Read the entire review HERE. “For anyone familiar with the world of endurance running, riding, and the Ride & Tie, the faces and names will be familiar and their stories will entertain you. For those who never heard of any of these less than rational endeavors, there are lessons to be learned about discipline, hard work, asking more of your body than you think it is capable of doing, and the pure joy of accomplishment at achieving such lofty goals. “Frank’s stories remind us that age is merely a number. Movement fires the body and fuels the soul. Frank inspires us to take one step at a time and keep moving forward at our own individual speed. The mind leads the body is a powerful statement. Frank challenges us to set personal goals and follow them with passion and ignite our own inner strength.